pre·mier (pr -mîr ) adj. 1. First in status or importance; a principal or chief: an individual of premier rank. 2. The first to exist; the earliest. 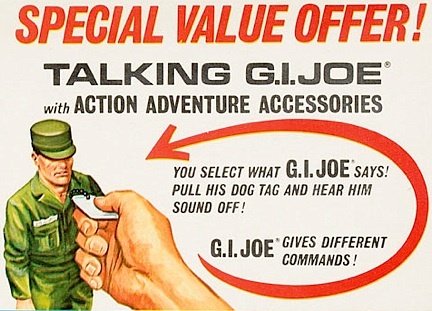 By 1969, Petrucci’s work for GIjOE had raised the bar as high as it could go illustration-wise, and for whatever reason, Hasbro decided to switch gears stylistically for its next GIjOE line: a series of “red-top” figure boxes and equipment sets that would utilize photography—instead of illustration. 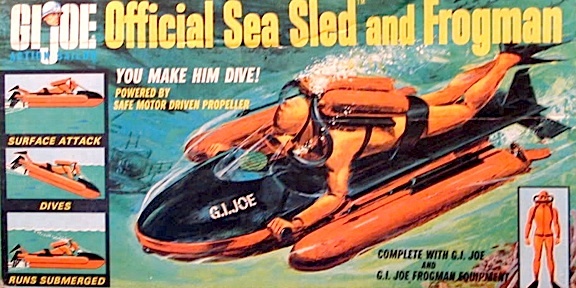 GIjOE illustration would languish until the 1970s, when Hasbro would revive it BIG TIME, combining the work of Petrucci with that of famed Adventure Team illustrator, Don Stivers (see article HERE). And then again, in the 1990s, when the world would be introduced to the amazing work of Classic Collection maestro, Larry Selman (HERE). “I had the pleasure of meeting and being with Sam at several of the GIjOE conventions. Naturally, whenever two illustrators meet it doesn’t take long to start discussing painting methods, picture styling and swap stories from the business. Sam would talk about getting props, costumes or models, and his challenges for coming up with new picture ideas, we had a lot in common. “An illustrator puts many long and lonely hours into producing a piece of art and as soon as its completed, off it goes to the client. Because you worked for a large corporation, your name doesn’t appear anywhere on the cover and yet your artwork is seen all over the world by millions of kids. Suddenly, you are famous—and anonymous—at the same time. After I met Petrucci at the 2009 convention in KC, he thanked me for my “kind words,” posed for a couple of photos and then handed me off to his assistant (a son, perhaps?). I purchased five of his superb GIjOE prints (shown above), but I was saddened by the realization that much younger fans simply walked right by, never realizing who the silver-haired gentleman was, or that (unfortunately for us all) “GIjOE’s Premier Artist” was making what would be one of his final JoeCon appearances. “Samuel W. Petrucci, 86, resident of both Gilford, NH and Fort Pierce, FL, died unexpectedly Friday, September 27, 2013, in Scranton PA, from natural causes. Born on December 22, 1926, Sam grew up in Medford MA and was the son of Salvatore Petrucci and Mary Dunn. He lived a long and colorful life, regaling his friends and family with his many claims to fame. As a teenager, he worked as a bellhop at the Ritz Carlton in Boston where he carried telegrams to Eleanor Roosevelt, the Duke and Duchess of Windsor, and Boris Karloff. At age 16, he joined the Navy and was the best radio operator on the USS Willard Keith. After the war, Sam studied art at Vesper George and went on to become a successful commercial illustrator, package designer and airbrush artist. Sam’s career spanned six decades. One of his earliest clients was the Hassenfeld Brothers Toy Company, for whom he illustrated many game and toy packages including Mr. Potato Head, and the Superman, Mighty Hercules and The Banana Splits board games. Most significantly, he designed the original logo and boxes for Hasbro’s G.I. Joe line of toys. In recent years, he took great pleasure in being a special guest at G.I. Joe conventions where he signed autographs and met his many fans. In the late 1960s and 70s, he worked on the team yearbooks for the Red Sox and for the Boston Bruins. Later, Sam was employed by the prestigious Gunn Associates in Boston where he designed packaging for many well known companies and products including Charleston Chew, Ocean Spray, Very Fine Fruit Juices, Gillette, Newport Cigarettes, Titleist, Marshmallow Fluff, Converse Sneakers, Polaroid, T.J. Maxx, Prince Spaghetti, Salada Tea, Dennison, Bose, BASF, World Wildlife Fund, and countless others. He often used himself, as well as his children and grandchildren, as models for his illustrations. There’s even a Lassie lunchbox that he designed in the Smithsonian Institute. Sam was a voracious reader and enjoyed golfing with his buddies, fishing with his grandchildren, nature photography, alligator hunting, and painting wildlife and landscapes in oils. 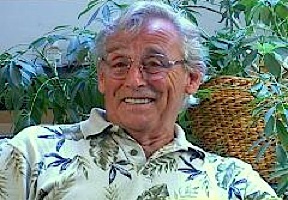 He was a member of the Vero Beach Art Club. Back in the day, he was a regular at The Bayside and The Esquire bars in Revere. Sam personally designed the family home at Lake Shore Park on Lake Winnepesaukee and was admired for his countless talents. As he often pointed out to everybody, Sam was “The Best” at anything he chose to do. Sam was married to his beloved Leona Petrucci (who passed away in 2008) and is survived by his children, Maureen Beaupre of Fernandina Beach FL, Ken Petrucci of Newburyport MA, Lisa Petrucci of Seattle WA, Linda Petrucci of New York NY, and Steven Petrucci of Peabody MA, as well as their spouses and numerous grand and great-grandchildren. The Sambuca di Amore liquor company will also mourn his passing. Bottom Line: It was an honor and a privilege to have met Mr. Petrucci in person and to have come away from our meeting owning some of his autographed artwork. So many of our heroes come and go without our ever having a chance to meet them or express our affection and appreciation for their skills and achievements. I was fortunate to have attended the KC JoeCon in 2009 and do both. Thank you for EVERYTHING Mr. Petrucci. You will be sorely missed. Rest in Peace. I love seeing my Dad’s animation but cannot hear the video. Any other format to give life to the video? Thank you for sharing it! Got it, thank you. It is priceless to me! He was on his was to Ft. Pierce, Fl. When he died. He loved an adventure, exploring parks and wildlife with us down here. He would have chuckled that you recorded him speaking about his favorite subject and shared it with us. Where is Samuel Walter Petrucci Jr.??? Beautifully sensitive tribute to my dad. I was a young girl when all this creative genius got started. G.I.Joe became our life for years because when not at the office , he was drawing and painting on the dining room table so we saw the sketches come alive. Hardly a person visiting got out without being put in uniform and photographed for his work. Little did we know the future of this ” boy’s” doll. To his death the stories never ended. He would have been thrilled to know that someone truly appreciative his contribution to this icon. What a thrill to have you write in, Maureen. Your Dad touched many people and will be greatly missed. Thank you SO much for your comments. We met and talked with Sam at the last Orlando convention. His son,Steven was there helping him. Sam was a true gentleman and a great artist. I have several of his prints, there are cherished as much as my Joes. Sam Patrucci and Norman Rockwell are my two favorite artists. As my wife said both times we met him and were walking away from his table..”he is such a sweet man”. Could not said it any better. 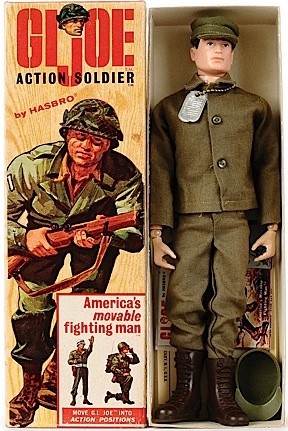 When the whole GIJoe thing began in 1964, I was 12 years old and living in Arlington MA. Baseball, hockey and golf were my primary interests, but my dad was a WWII veteran who was always interested in U.S. military history. He also happened to be a very talented (the “best” as he would say) artist/illustrator who’s specialty was package design. Sam was working with his partner Harold on a new project that was keeping him working day and night. I remember watching him working on sketches and layouts at the kitchen table late at night, sometimes finding him asleep in his chair when I awoke in the morning. 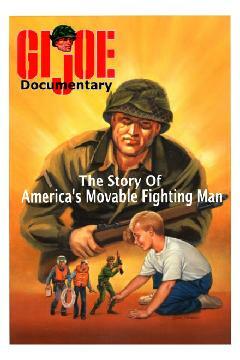 The work gave birth to GIJoe. That was nearly 50 years ago. And now my dad is gone. But his legacy as an artist survives with the body of work he created, his children and grandchildren he left behind and the memories we all have of him. And there’s GIJoe and all of the fans and memories of the children who played with the toys packaged in my father’s boxed artwork. I want to thank the GIJoe family and those of you who took the time to make my dad’s appearances at the shows so rewarding. It gave him great pride to think that he had a part in something that is American cultural history. He enjoyed meeting many of you and the attention. I think it was as close to being a rock-star as he could get. I went with him to the last show he would attend in Providence R.I. and helped him with his booth. He was pretty frail and I could sense that this show might be his last hurrah. A lot of the family dropped by that weekend and we all went out to eat (Italian of course) Saturday evening. As I looked at dad across the table, I think I realized for the first time that he was not immortal, not a giant and that I wouldn’t have him as my golfing buddy much longer. I hope I was a good son. He was a pretty good dad. I would like to express my sincere heartfelt condolences on the passing of your dad. 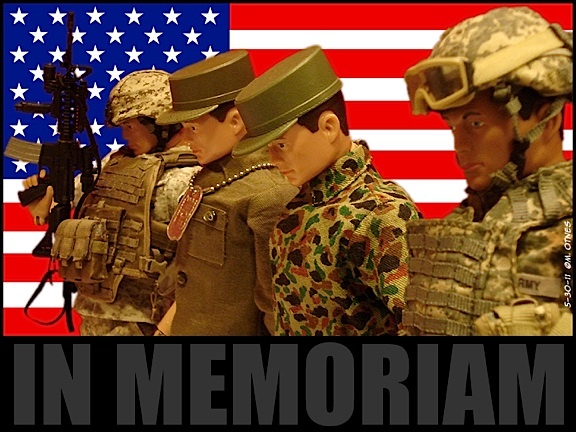 He was responsible for creating a lot of fond memories in my life and others who appreciate the GIJOE family of collectors. I would like to purchase the 5 “Soldiers of the World” 11 X 17 art prints. Can you help me? I was not at the show were they were made available some years back. Thank you for responding to me. I have not heard from anyone since I first emailed asking for the prints. You are the first to respond. I understand everyone is very busy these days and it takes some time to respond. I do appreciate your follow-up. I am still very much interested in the 5 soldier of the world prints. I will call Ken and see if he has them. In the meantime, if you can please check and see if you have these prints and let me know I would be most grateful. Thank you and best wishes to you all! Thank you for this wonderful tribute to my grandfather! He will be greatly missed by all of us grandkids and great grandkids as well. I would hear little bits and pieces of various famous products he produced artwork for, most especially his work for GIjOE (which was fun to brag about to my friends growing up!). It wasn’t until I was older that we were able to pull more stories out of him and learn more about the immense amount of art he did for everyday products we see and use. He was an artistic inspiration to our whole family! It is so nice to see how appreciated he was for all his amazing work and the joy it brought to so many. Thank you again. It really feels like he lives on through his work. 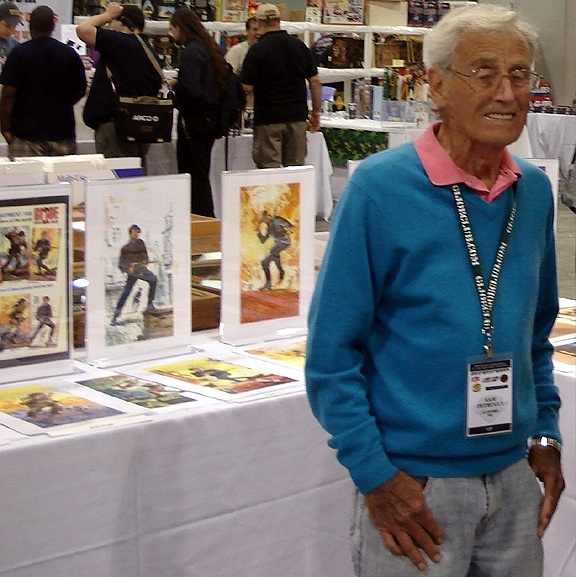 I just came across this article today, Mr. Sam Petrucci was and still is loved and treasured by G.I.jOE fans all around the world. It is wonderful to see family members contribute so we all can appreciate the behind the scenes. As his son mentioned above, because of his beautiful inspiring artwork, it qualified him for rock-star status in my book as well as for many G.I.jOE fans. Belated condolences to his family from Kingston Ontario Canada. Just over a year ago we (my brother and I) discovered the passing of Sam and we are very sorry for your loss. I have memories of some his artwork that he worked on when I was little. I have memories of him bringing Pepperidge Farms banana cakes home for dessert sometimes. He saved me from drowning at Indian Ridge country club pool, jumping in with all of his clothes on, shoes,wallet and all. I have many, many, many memories of Sam. You see, he was married to my mother Mary, I believe his second wife, who gave birth to Samuel W. Petrucci Jr., who has no memories of his father, which is sad. I’m sure Lisa will remember my sister and me, we were close when we were a “family.” It is ironic that Sam and my older brother shared the same birthday and that he passed away on my other brothers birthday? So unusual. I also would like to extend my sympathy on the passing of your mother, Leona. I saw her back in 1998 when she was buying a grandmother clock at Levitz furniture and I worked in the office. We had a lovely talk. Reading all of these articles and such about Sam brings back some good and not so good memories. But, I’m glad I was able to reach out and extent my sympathies to Sam and Leona’s family.